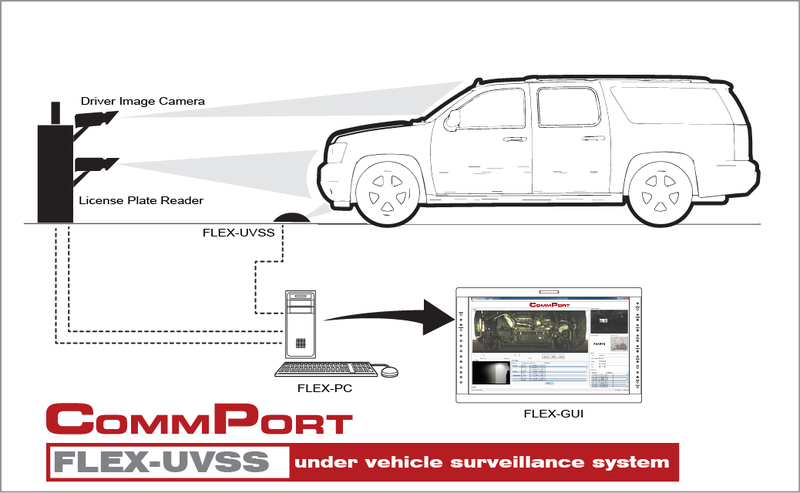 COMM PORT Technologies Inc. specializes in state of the art technology based under vehicle scanning systems. Clients depend on COMM PORT for the ability to provide ultra ruggedized systems with fastest image processing available. Whether you are protecting your workspace from terrorism, loss prevention or sabotage, CPAS and FLEX series of under vehicle surveillance systems offer the perfect solutions for fixed or deployable UVSS components. 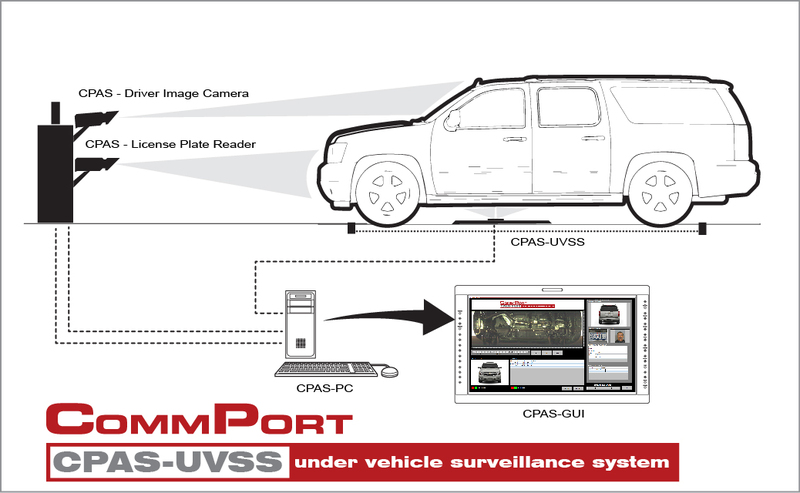 The Comm Port CPAS under vehicle scanning system uses color area scanning technology to effectively scan and inspect the undercarriage of vehicles to search and analyze images for explosive devices, suspicious objects or contraband such as drugs and weapons. The system is ideal for government, military, transportation and corporation facilities requiring security checkpoints for vehicles such as vans, tractor trailers, buses and passenger vehicles. The FLEX-HH-300 is a self-contained, lightweight pole camera for inspecting hard to reach or dangerous areas for potential security hazards or breaches. 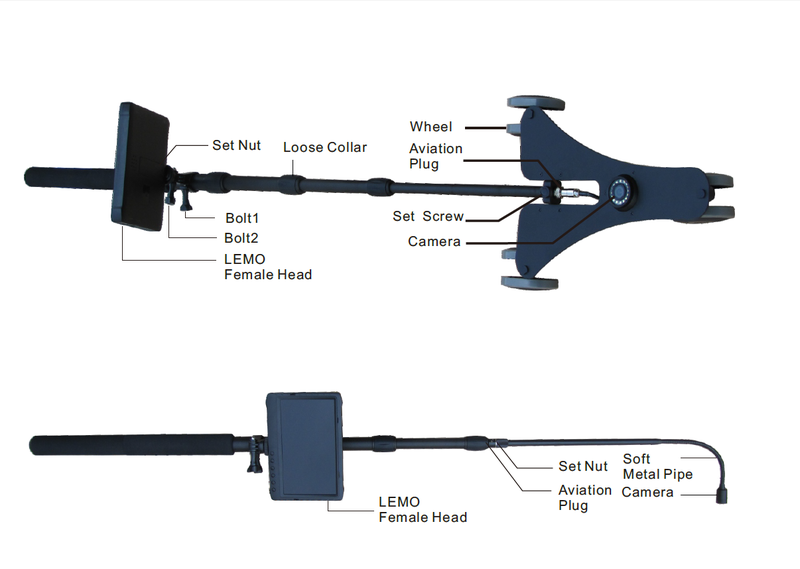 The kit includes two types of cameras – one which is mounted on a dolly for easy access to the belly side of vehicles and one which is a FLEXIBLE pole camera for examining hard to reach areas like above drop-ceilings, small cavities or pipe openings, corner views or behind immovable objects. The primary under vehicle configuration is based on a wheeled dolly design using 360 degree all terrain wheels with wear-resistant tires. This allows easy mobility to search the full underside of a vehicle on any road condition. 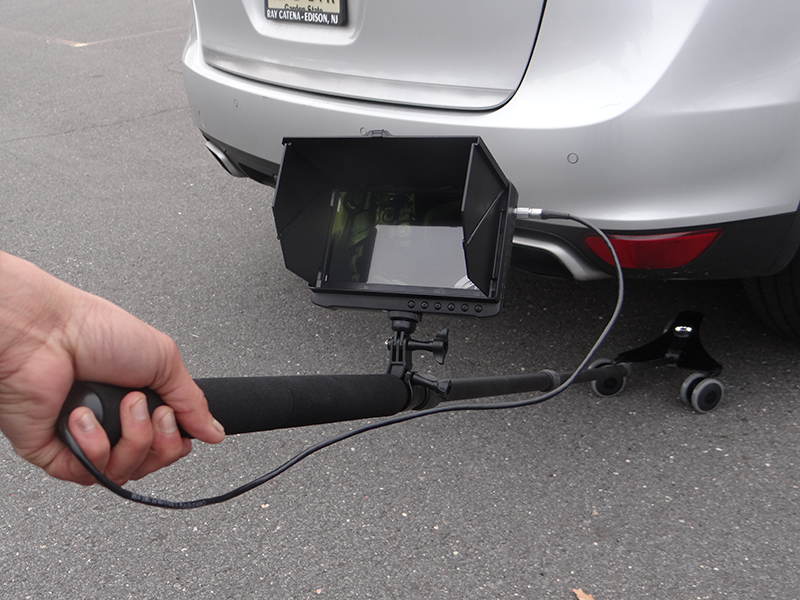 Attached to the dolly base is a telescopic pole that can extend up to 2 meters for full under vehicle access. A 2.5 megapixel high definition portable camera is mounted on the dolly base. The 7” HD Color LCD screen provides live feed with full 1080p resolution. 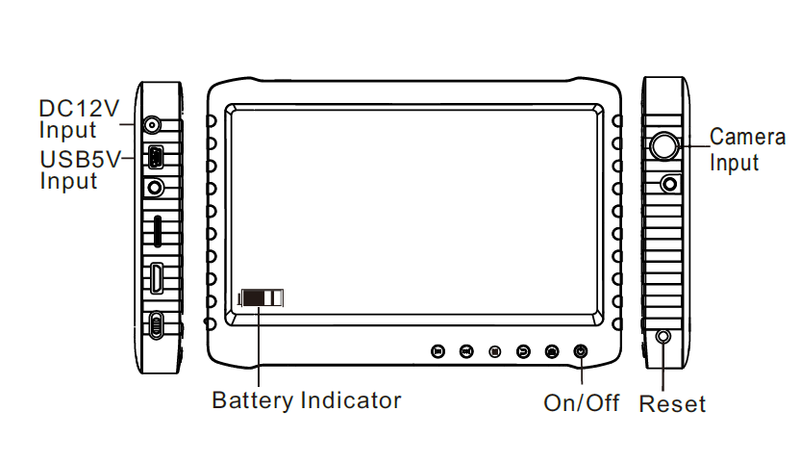 The ruggedized battery powered LCD provides up to 10 hours of work time, includes support for up to a 64Gb SD storage card and includes a one-button sunshade for outdoor use. The LCD brightness can be adjusted with side panel buttons. A LEMO HDMI connector is utilized between the camera and display to insure secure cable connections.